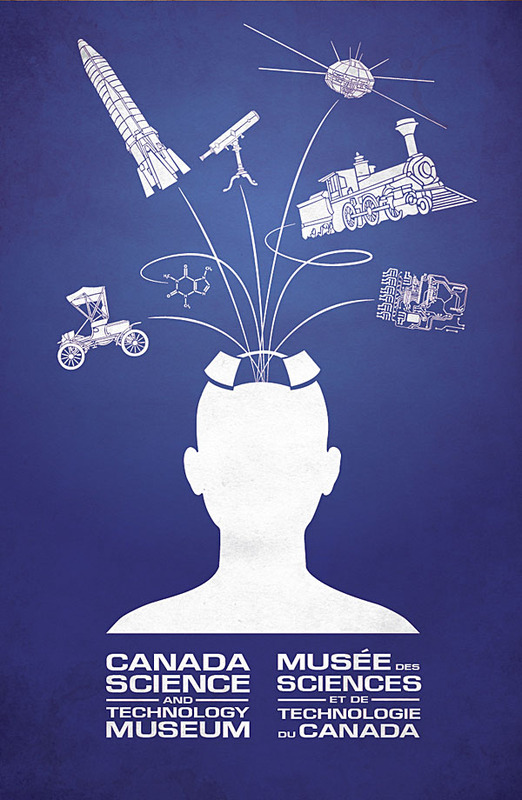 To create a short motion graphics reel and a campaign poster to help increase both regular visits as well as online visits to the Canada Museum of Science and Technology. I wanted to have a central idea that captured the essence of science and technology without falling back on any tired stereotypes like winding gears, beakers, flasks, etc. Instead I used some of the museum’s iconic artifacts and attempted to illustrate the idea that the basis of all progress and advancement is the human mind. For the motion piece, my goal was to use some of the artifacts from my poster and animate them as a reminder of how they once might have looked when they were actually in use.